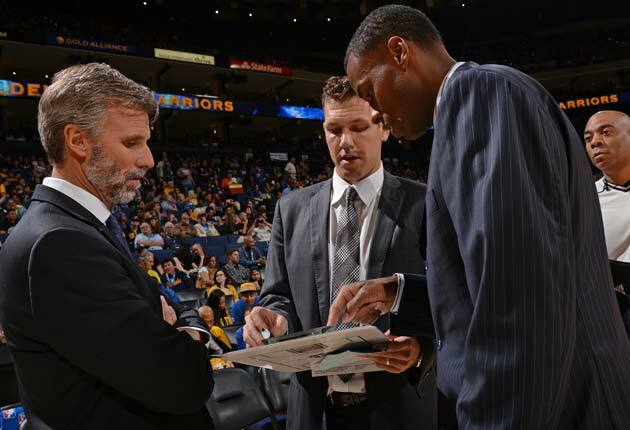 Two years ago, Luke Walton was a player development coach in the D-League. Now he's coaching the NBA's defending champs. Steve Kerr’s path to his first head coaching job famously involved years of meticulous preparation and a 16-page PowerPoint presentation to Golden State’s owners during his interview. By contrast, Kerr’s interim replacement, Luke Walton, found himself appointed to the big seat just four days before the Warriors’ preseason opener, when it was announced on Oct. 1 that Kerr would take a leave of absence following multiple back surgeries. Needless to say, the 35-year-old Walton, son of Hall of Famer Bill Walton and a two-time champion with the Lakers, hasn’t yet crafted his first PowerPoint slide, let alone an entire presentation. “That’s down the road,” Walton told SI.com, when asked to characterize his coaching philosophy or his key strategic beliefs. “I haven’t put that all together yet. I’m too caught up in the thousands of decisions that are being made right now to worry about the hypothetical, to get my team or my organization to look like if I ever had that opportunity. 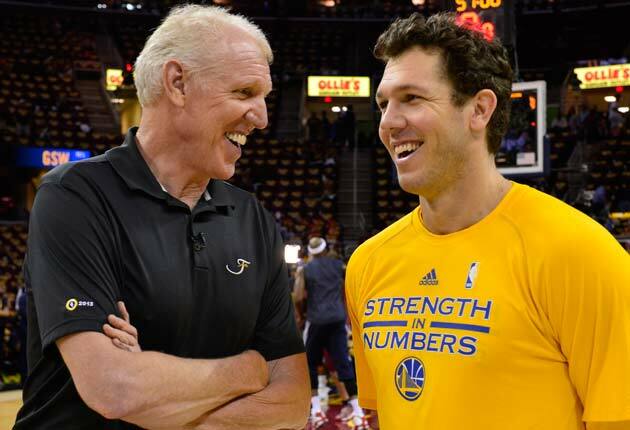 Let’s agree to give Walton a little time to reverse engineer his coaching fundamentals. After all, he was still playing in the NBA, as a member of the Cavaliers, less than four years ago. Two years ago, he was a player development coach… in the D-League. Last year, he got the call up to Kerr’s staff, where he took a spot behind long-time assistant coaches Alvin Gentry and Ron Adams on Golden State’s coaching depth chart. Winning 67 games and a championship in year one was wild. But taking over the reins of the defending champions, days before the start of the 2015-16 season, is a different kind of wild. Especially for a man who is younger than certified coaching prodigy Brad Stevens was when he was tapped to lead the Celtics in 2013. Yet Walton has hit the ground running at Usain Bolt speed, presiding over a magnificent 7-0 start that has included five wins over 2015 playoff teams and a comical +18.3 point differential. Remarkably, Golden State is lapping the field this year while also remaining ahead of last season’s pace through seven games. The credit for the early success goes first to Stephen Curry, who has been so good he’s rendered hyperbole irrelevant, and the Warriors’ defense, which ranks second despite multiple injuries to All-Defensive center Andrew Bogut. But Walton, a laid back California native who has taken the pressure in stride, deserves some love too, if only because the record books will make no mention of his accomplishments. In fact, Walton’s record as interim coach officially goes on Kerr’s track record: While he’s been recuperating, Kerr’s all-time record has jumped to 74-15 and his career winning percentage has improved from .817 to .831. Walton might very well win NBA Coach of the Month honors for October and November with an official record of 0-0. 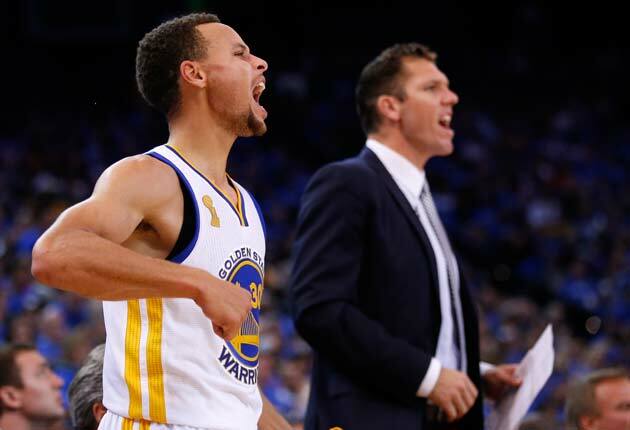 Here’s more from Walton on how Golden State’s start, Curry’s step forward after his 2015 MVP season, Kerr’s level of involvement, and more. Ben Golliver: You get thrown into the mix as the interim coach and you guys start 3-4 in the preseason, with four big losses. Was there a moment of panic or doubt about what you were being asked to do? Luke Walton: “I wouldn’t call it doubt, but there was a little bit of concern but that was more because everything was new for me from a head coaching standpoint. The truth of it: we weren’t really worried about the [preseason] record because we were having great practices and we go into a game knowing we’re only going to play Steph Curry 23 minutes and Andre Iguodala 16 minutes. BG: You were part of a title defense in 2010 with the Lakers. Do you agree with the conventional wisdom that the second title is more difficult than the first? LW: “It is harder to defend a title because you have a target on your back and everyone is coming after you. There’s been talks about [being targets] throughout the season but we haven’t really emphasized it because our guys came into camp ready to go. In my opinion, they haven’t really needed that talk yet because of the way they’ve been competing and working at practice. Everyone sees how the games have been going. They haven’t needed that extra motivation yet. “Our message this year has been about continuing to evolve on the offensive end and the defensive end. To become more efficient, to get to deeper levels of the offense. Ultimately, we’d like to call less plays, to have the guys react to how defenses are guarding us when we’re out on the floor. To continue to flow and move by reading each other. BG: When did you decide you wanted to pursue coaching? LW: “When I was a player, I hurt my back pretty bad. Some of the doctors told me that they didn’t know if I would be able to play any more at the level that’s required to play in the NBA. BG: What’s been the hardest part of taking over as head coach? BG: What kept you up last night? LW: “The guys are great. The last thing I’m worried about are the individual players. We have very skilled players, we have players who are winners, we have high character players, we have guys who believe in the team, who are selfless. That’s everything you can ask for from a player. The things that keep me up at night are… What are we doing at practice the next day? What are our substitution patterns for our next matchup? You feel so much responsibility towards the players because you respect them, you want them to win and you know they’re good enough to win. You want to make sure you’re doing everything you can to make sure they succeed. BG: The early media consensus is that you guys are better this year than last year. Specifically, where do you see improvements compared to last season? LW: “I think we’re starting from a spot that’s further along. Last year, when we got here, we had to put in a whole new offense, a new defensive scheme, and then drill the basics of what we want done. We had to spend a lot of time getting to the point where everyone knows that stuff without having to think. That’s a lot of repetition and time to get there. BG: Curry has taken his game to a different level this season. Which of his improvements have stood out the most? LW: “I think he’s better at everything this year compared to last year. I haven’t seen the numbers, but in just watching the film and watching him live, I think he’s doing a better job of reading and running the team. We haven’t been turning the ball over as much. Last year, our first six games we were averaging like 25 turnovers a night or something like that. “I don’t know if it’s possible, but he’s shooting the ball better this year, which would make sense. The kid is in the gym all the time working on his craft, working on his different shots, his floaters, three-point shots. BG: Festus Ezeli has looked like a starting-caliber center filling in for Andrew Bogut. How do you strike the right balance between Bogut, Ezeli and your smaller lineups once Bogut returns? BG: How involved is Steve Kerr right now? BG: What does he communicate to you about the progress so far? LW: “He told me he’s happy with the job we’re doing. He’s obviously excited about the fact we are winning the games. BG: ESPN reported last week that Kerr could be out until the All-Star break. When do you expect him back? ​LW: “We’ve adopted the mindset that we’re not putting a timetable on it. If Steve doesn’t know, then obviously no one else can know. We’re not preparing like, ‘he’ll be back next week,’ then we get to next week and he’s still out. We’re preparing as if this is our staff, I’m the head coach and this is what we’re doing to win another championship. BG: Now that you’ve gotten a taste of it, do you see yourself as a head coach—no interim tag—down the road?